Lately it's been hot here in Southern California and I try not to complain too much, but MAN IT IS HOT! i complain because we DO NOT have air conditioning in our house. That being said, there's not a whole lot of cooking going on since we don't what to make the house hotter. Unfortunately I really, really wanted to bake cookies. After much much consideration, I went for it. The dough was made one day and I baked them early in the morning the following two days. And you know what, the cookies were so good that I didn't complain and my husband didn't complain about the house being hot. 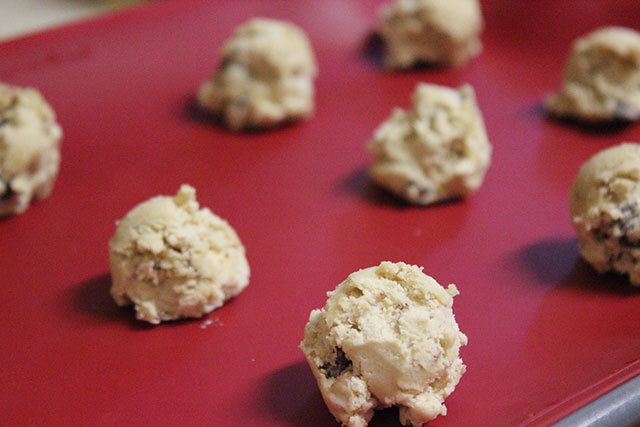 If you love that buttery salty sweet taste, you've got to make these cookies. The recipe used is a slight adaptation from David Lebovitz. Notes: The vanilla bean sea salt you can make yourself, with vanilla bean and sea salt or buy. I used Hepps, picked it up at the Farmer's Market for $5. My oven is super old and baking times usually take about twice as long as the recommended baking time. The recommended baking time for this recipe is 10 minutes. Mix butter, brown sugar, and sugar until creamy. Add egg and vanilla extract. In a separate bowl, mix by hand, flour, baking soda, and kosher salt. Slowly stir in flour mixture in with the creamy mixture until combined. 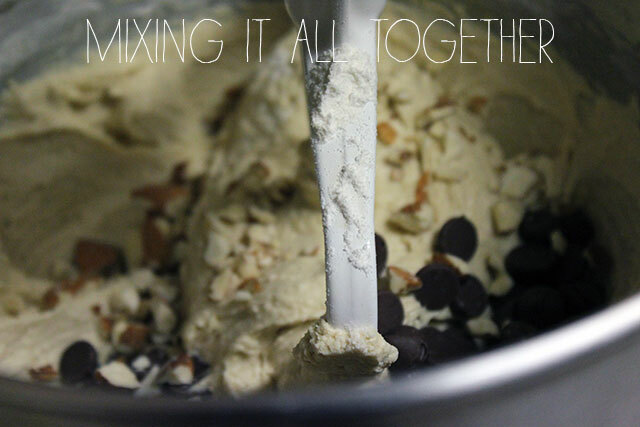 Add chocolate chips and almonds. Cover and chill for 24 hours. To Bake: preheat oven 350 degrees and then bake. 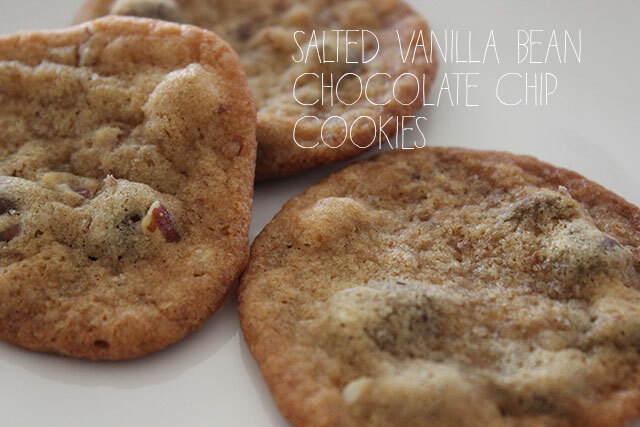 Halfway(or whenever cookies are somewhat set ) through the baking, sprinkle with the vanilla bean sea salt. Continue baking. Remove from oven and cool. Enjoy.